All that "shwopping" is finally about to pay off. Marks & Spencer is launching its first "shwopped" product: a limited-edition women's double-breasted peacoat made from customers' donated woolens. At �89, the "Shwop" coat, as it's been christened, costs half as much as it would be if it had been made from virgin wool, according to the British department store. "[The coat] marks a huge step forwards for creating a sustainable future for fashion," says Mark Sumner, M&S's sustainable raw materials specialist. 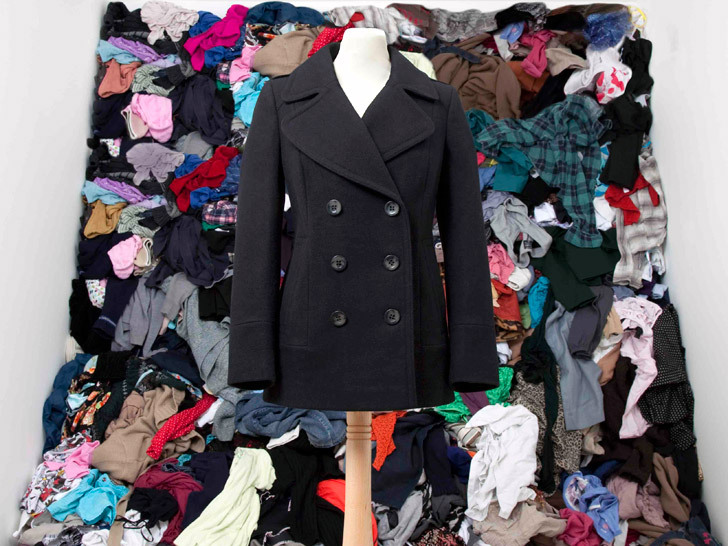 "It�s also great for our customers who can not only see what shwopping their old and unwanted clothes can lead to, but also get their hands on a stylish coat that looks great but costs less."